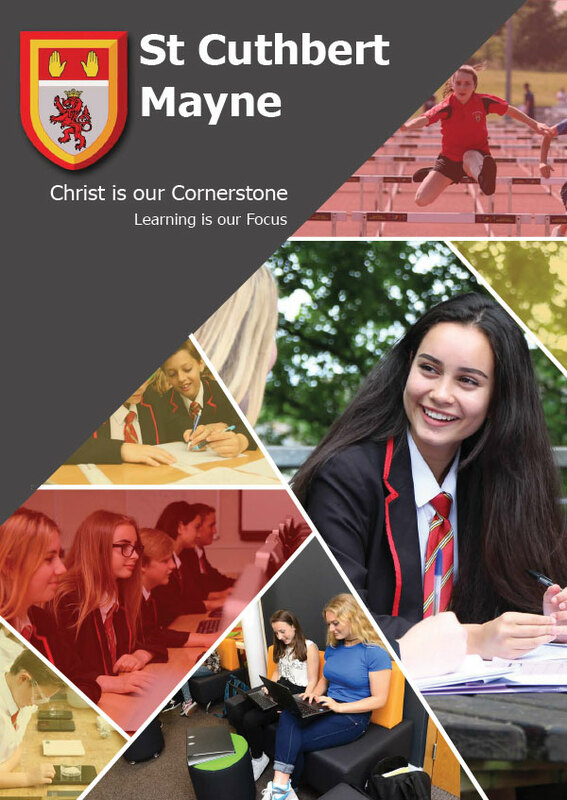 ST CUTHBERT MAYNE is an 11-18 COMPREHENSIVE SCHOOL with a tradition of providing first class education in a Christian context for young people of all abilities. This means recognising each person as a child of God, precious in his eyes and therefore deserving of our best efforts to enable them to develop their full potential. We strive to ensure that students feel safe and learn how to take care of themselves physically, emotionally and spiritually; we understand that happiness and well-being are priorities if young people are to learn successfully; we offer appropriate levels of challenge and support so that students of all abilities can excel. The school welcomes young people from all sections of the community subject to availability of places. Our successful pastoral system is built on the strong partnership between the school and home. 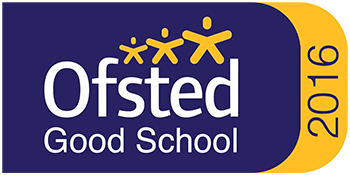 We believe that parents have a key role to play in the education of their child and that close parental links with the Tutor and Year Co-ordinators are an essential ingredient of our success as a school. We are proud to be part of a thriving Parent Teacher Association, something increasingly rare at secondary school level. ST CUTHBERT MAYNE CORE VALUES are to have integrity, to be courageous, compassionate and creative. These Core Values underpin how we want to work as a school community and values we are looking to develop in all members of our community. WELL-EQUIPPED SPECIALIST FACILITIES are provided for all areas of the curriculum. The school has a variety of different sports facilities available to support learning both during the school day and as part of our extensive extra-curricular programme. Our excellent multi-purpose Sports Hall enables students to participate in a variety of different sporting activities such as; Basketball, Trampolining, Table Tennis and Wave Boarding. In addition there is also a Fitness Centre equipped with cardio-vascular and weights machines. This facility is used as part of the PE curriculum but students can purchase a gym membership to use this facility during lunch breaks and after school. Our distinctive Jubilee teaching block was opened in November 2011. This block was designed to support us in delivering the highest quality of teaching and learning and allow us to take advantage of e-learning opportunities. Our students regularly Face-Time conference with our partner school in Lagos, Nigeria. There is a modern Sixth Form Centre, Library and Resources Centre, 4 Computing Suites, a Music & Drama Suite, Recording Studio and a Media Studies Suite fully equipped with the latest Apple iMac computers. WORKING WITH TECHNOLOGY As part of our drive to be a Centre of Excellence for Teaching and Learning, we are developing our use of new technologies to accelerate student learning. This year we have two year groups initially who have been issued with their own Chromebooks and the use of the Wi-Fi and other devices are going to be further developed school wide to enhance learning. RELIGIOUS EDUCATION is at the core of our curriculum, and daily worship is an integral part of the life of our community. As a Church school we are privileged to have the support of our parishes. There is a daily Act of Worship for all students. The students assemble as Year Groups or Form Groups each day for prayers and religious and moral themes. We celebrate the major religious feasts and the feast of our patron saint with whole school services. These religious services serve to strengthen the Christian ethos of the school community. St Cuthbert Mayne School offers a full Religious Education course for students throughout Key Stages 3 and 4. A syllabus approved by the Governors and the Dioceses offers a detailed study of Christianity and an analysis of Christian interpretation of social and moral issues. Some comparative study of other world religions is included. All students follow a course of study towards GCSE examination in Religious Education. In the Sixth Form all students follow a Religious Education course as part of their core curriculum. Parents have the right to withdraw their child from Acts of Worship although currently all students attend. Parents with any concerns should make an appointment with the Headteacher to discuss the issue. However, a commitment to the Christian ethos of the school is a pre-requisite for admission to the school. We aim to provide a broad, balanced and relevant curriculum for all students. The curriculum is arranged in accordance with the requirements of the National Curriculum and the Curriculum Statements of both the Roman Catholic and Church of England Dioceses, the Torbay Local Authority and the Governing Body. A full Religious Education programme is compulsory for all students 11 – 18 years. At Key Stage 3 all students study English, Mathematics, Science, Religious Education , Art, Design & Technology, Drama, a Modern Foreign Language (currently French with Spanish introduced in Year 8), Geography, History, Information Communication Technology (ICT), Music, Developmental Studies (including Careers, Health Education and Citizenship) and Physical Education. At Key Stage 4 all students study English Language, English Literature, Religious Education, ICT (except those studying Triple Science), Mathematics, Developmental Studies, Physical Education and Science. Students must choose three additional. Guidance is available for students and their parents to help them choose the pathway best suited to their interests and abilities. 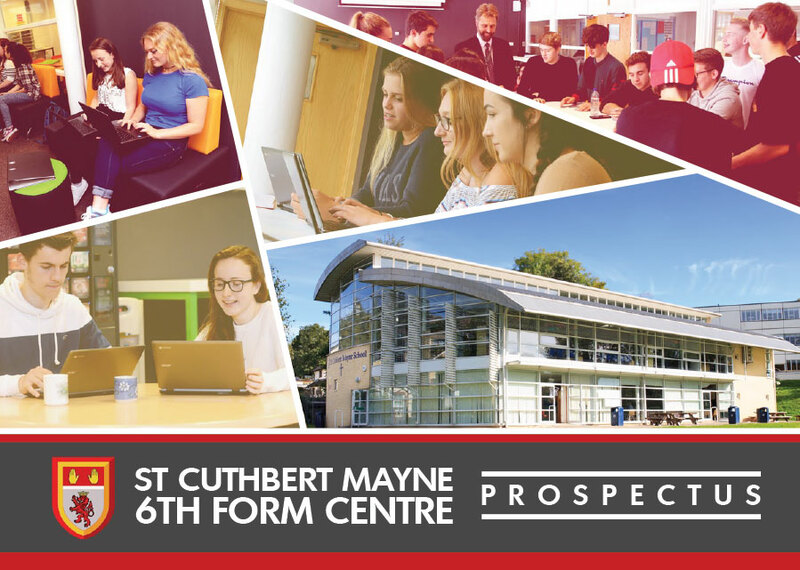 For Post-16 study, St Cuthbert Mayne Sixth Form is a natural progression for many of our students and offers an opportunity to study within a community based on Gospel values. We offer a wide range of ‘A’ Levels and a small number of BTEC qualifications at both levels 1, 2 and 3. For entry requirements please see the 6th Form Prospectus. The Sixth Form also attracts young people who have attended other schools up to GCSE as well as a small number of students from continental Europe as a result of longstanding international links. ACCELERATED READER is a National Programme that we are using at St Cuthbert Mayne School for Year 7-9. The aim of the programme is to develop student’s literacy and reading skills. This will help them to make good and outstanding progress across ALL their subjects as they need excellent literacy levels to access the highest possible grades. The programme involves half an hour of reading per day in different lessons each week. The students begin with a Star Test to find out their reading level and then are asked to choose Fiction and non-Fiction Accelerated Reader books from the School Library in order to set the correct level of challenge from their book. When they have finished reading the book they complete a quiz which tests their comprehension. Once they pass a certain number of quizzes, they then receive a Certificate. There are a number of levels for the Certificates. Each year there are a number of students who read well over 1 million words. Students with Special Educational Needs are supported through a flexible arrangement designed to focus on the individual’s difficulties. ILPs (Individual Learning Plans) are prepared for students who have a statement of Special Educational Needs or an Education and Health Care Plan (EHCP). A skilled team of Learning Mentors work under the direction of the SENCO to assist learners with identified special needs. The Special Needs Policy, currently being updated to reflect the new arrangements for supporting children and young people with Special Educational Needs and Disabilities. This can be accessed on the school website or a hard copy can be provided on request. The school comprises a number of buildings on different levels on a steeply sloping site which is not ideal for adaptation. Despite these difficulties much of the school is accessible due to ramping into main entrances at ground level. There is limited lift access. Full provision is possible for one or two students as careful rooming can ensure provision at ground level. It is essential that parents of potential applicants with mobility problems visit the site for a tour with the Special Educational Needs Co-ordinator. For further information please see the Disability and Access Policy on the school website. Home Learning is regularly set across all subjects. At Key Stage 3 students receive between 40 and 60 minutes of Home Learning per day and at Key Stage 4 they receive approximately 1.5hours per day. Moving into secondary school is an exciting and challenging time. There are many opportunities ahead and this can be both a hope filled and sometimes daunting event in your child’s and your own life. At St Cuthbert Mayne we support you in this process through Transition visits to your son/daughter’s primary school by Senior Staff, the Year seven Co-ordinator and the school SENCO. This enables a first contact and key information to be shared. We visit all of the schools that our students are coming from within the Torbay area. A Transition Day and Evening then take place in the summer term where new pupils and parents/carers have the opportunity to experience a day in the school and a chance to find out firsthand what it will be like to be a member of the St Cuthbert Mayne family. The Transition process ensures that all important information that relates to the learning, safety and background of your son/daughter will be sensitively and confidentially passed on to us. Our highly successful Summer School which runs over two weeks during August is an excellent way for new students to become familiar with the school environment and to meet other students who will be joining in September. We pride ourselves in the excellent pastoral support and holistic care that we provide as a school. External inspections have regularly judged this area to be outstanding at St Cuthbert Mayne School and we strive hard to maintain this standard. Bullying is always dealt with swiftly. Our highly trained pastoral staff use a sensitive and caring approach and use restorative justice to promote reconciliation. Pastoral staff in Student Services are always ready to support and advise students helping with a variety of issues e.g. lost property, medical concerns, academic and many other related queries or questions. We have three dedicated Pastoral Support Workers who are available to help and support students across all the Key stages when problems or difficulties arise. Our pastoral provision also includes an Inclusion Centre that helps to re-track and give support to students who are struggling. The Inclusion Centre works closely with the SENCO and SEN department to help them do this. Further support is provided via a School Councillor and a Family Liaison Officer where more specific services are required for our students. A group for Young Carers is available in the school and St Cuthbert Mayne has received national recognition for this. We aim to live out the truth of God’s love for us by being a listening and caring school; we believe that where students are happy and safe they will achieve and succeed in the present and in their future lives. Year 10: One week work experience – including preparation and de-brief sessions, which involve work related skills exploration. Year 11: Kudos and Mock Interviews – including CV workshop, letter of applications, interview guidance and job exploration. For the past five years our mock interviews have been held in the prestigious Osborne Hotel, with students going that extra mile to prepare for their interviews. With the help of an excellent and ever-supportive group of employers we believe we offer the best and most helpful interview experience possible for our students! Sixth Form: As part of our PSHE programme students are offered the opportunity to take part in mock interviews, work experience, UCAS preparation, Careers Fairs and seminars, HE events, and new to this year, students have been offered the chance to participate in the Employability Scheme which is supported by the Torbay Development Agency. St Cuthbert Mayne School were delighted to receive The Education Business Excellence Award which is a quality assurance scheme delivered by the Devon Education Business Partnership for schools who deliver excellent work related and enterprise learning. Building Enterprise – STCM Exclusive! EXTRA-CURRICULAR ACTIVITIES are an essential part of a young person’s development and all students are encouraged to engage in the wide range of extra-curricular activities on offer. Whatever their talents and abilities there are opportunities to excel. At St Cuthbert Mayne we offer sports including traditional games such as Rugby, Football, Netball, Hockey and Cricket, as well as others like basketball, trampolining, badminton and Lawn Bowls. The school has a long history of being active and successful in all local and regional sporting competitions. We regularly have teams that take part in sporting festivals such as Torbay Schools Pentathlon. There are many Sports Leadership opportunities such as running sports festivals for Primary Schools and Young Sports Ambassadors in which the students can become involved. St Cuthbert Mayne offers visits to sporting events and fixtures. Each year we take part in Sports Relief. In school we offer a Fitness Centre that is well equipped with specialist machines that can be used during lunch times and after school. Other extra-curricular activities that we offer are drama productions throughout the year including our annual School Production that is very successful and well attended. We hold music concerts and the opportunity for students to play at school events. Activities with a religious focus are also very popular with students who take part in retreats and The Easter Happening. Throughout the year we have a strong focus on fundraising with many events, stalls and competitions being co-ordinated by the students. The key charity that we support is CAFOD as well as other more local charities – Rowcroft, Torbay Hospital, Animals in Distress etc. In addition there are numerous visits, residentials, fieldwork trips, exchanges and outward bound activities which enhance an already rich curriculum. Destinations in 2014-15 included Newquay, London, Barcelona, Disneyland, Devon County Show and Paris; there were many visits locally to support the curriculum. Towards the end of the summer term we have a period of three days there the students are offered the opportunity to sign up to various residential trips and in school enrichment activities. Although there are many challenge walks in Britain today, Ten Tors is still alone in catering solely for young people. Usually taking place in the second weekend of May, many of its participants will remember the event with pride for the remainder of their lives, and for some it may even be a life-changing experience. The Ten Tors Challenge takes place annually in May and is limited to 2,400 individuals – four hundred teams of six teenagers. The teams, depending on age, face expeditions of 35, 45 or 55 miles visiting ten nominated tors over two days. The teams must be self-sufficient, carrying all that they need to complete their route safely despite the terrain and the weather. The latter can be very changeable and at times quite extreme, and success or failure can depend very much on the extent to which a team has been trained for all eventualities. As a school we have been successfully taking part in the event for many years. Having students annually, crucially as complete teams, successfully finish the expedition. Our training programme is extensive, taking our students from novices to competent self-sufficient hill walkers. We train on Dartmoor over the winter starting with a day’s walks in October leading to camping in February onwards. We also conduct classroom sessions that take place after school. It can be a testing challenge but on seeing the faces of the students on completion, very rewarding to all those involved. Please contact the Director of 6th Form Learning, Mr Anthony Boughton through the 6th Form Administration Office, telephone 01803 316433. You will be informed about subjects offered at GCE Advanced Level and entry requirements. A visit can be arranged to help you make your decision.